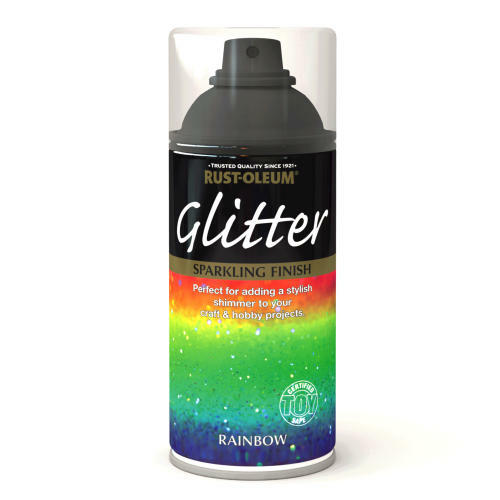 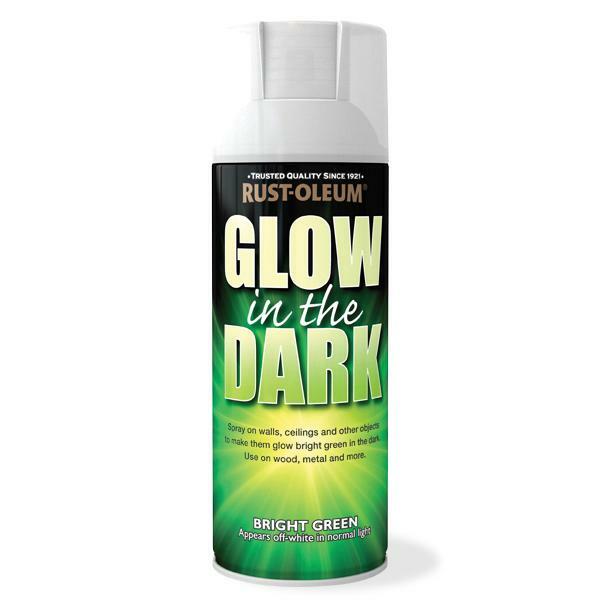 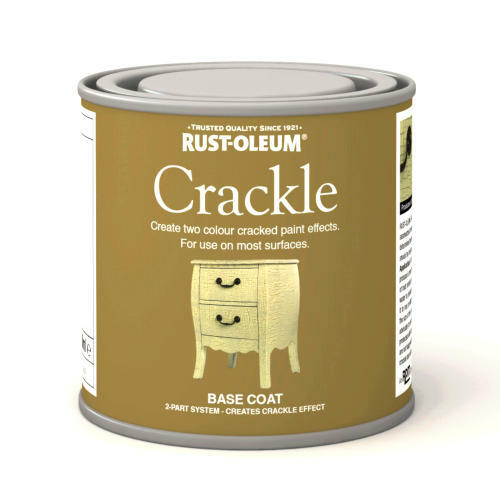 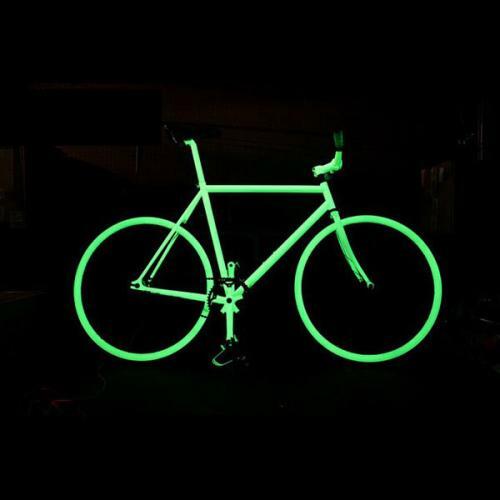 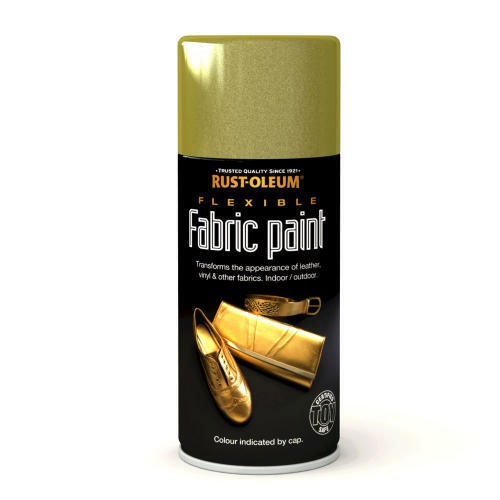 Rustoleum Glow In The dark spary allows you to add flourescent finishes to your projects. 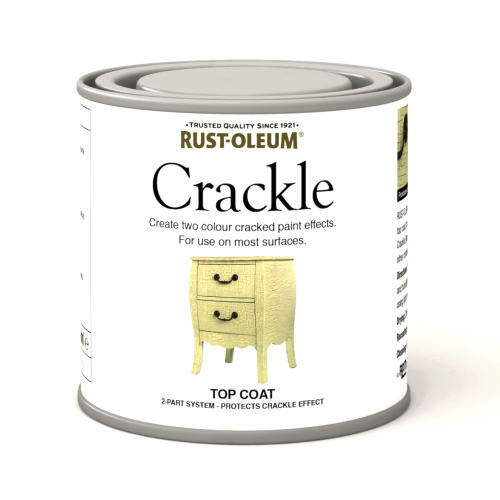 The matt finish is off white in day light but floureses green in darkness. 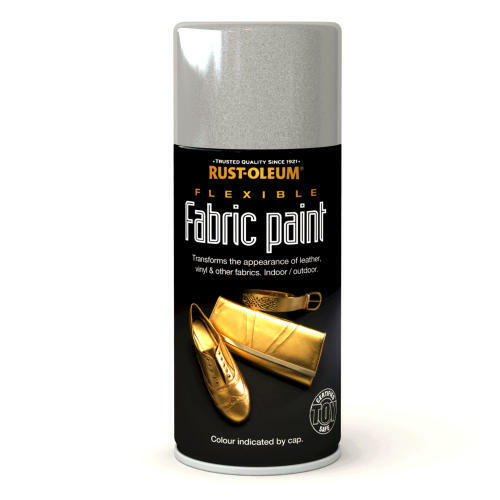 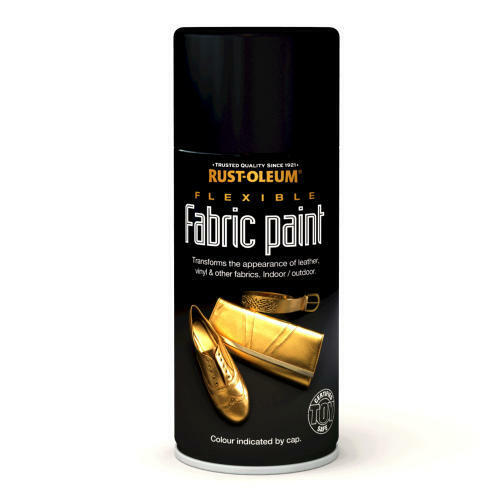 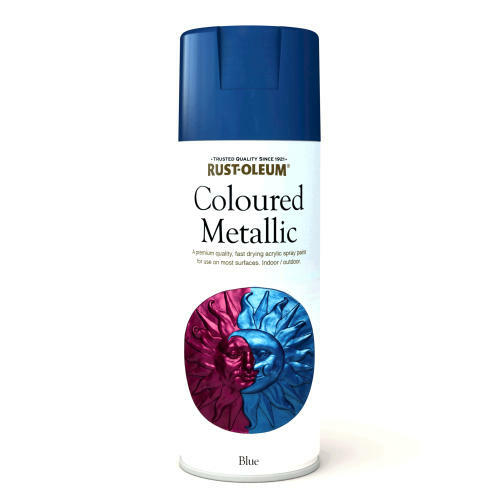 Washable and is ideal for use on wood and metal. 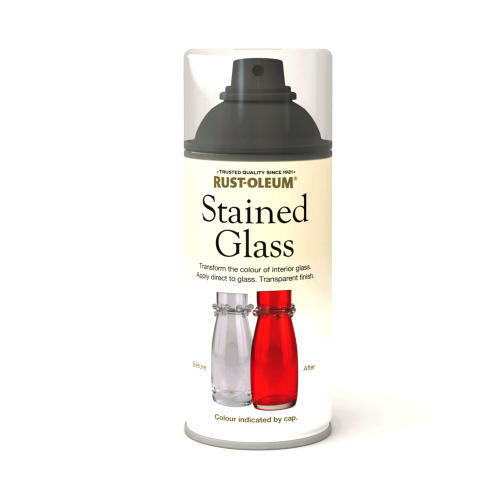 400 ml covers approximately 2 sqm per coat. 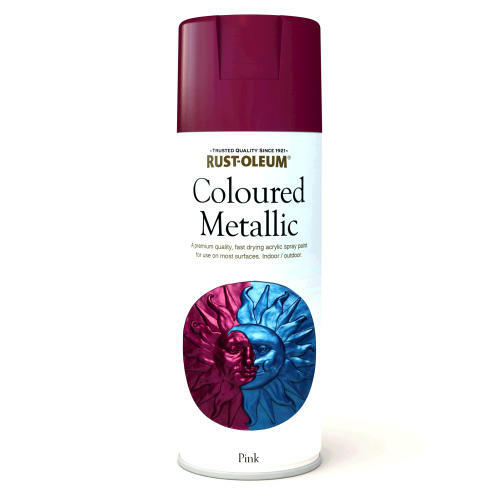 Touch dry in 15 minutes. 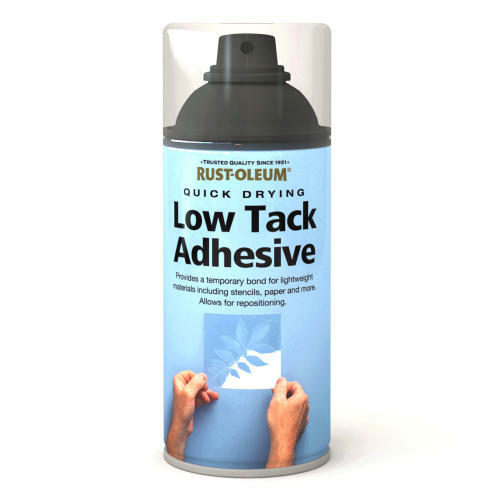 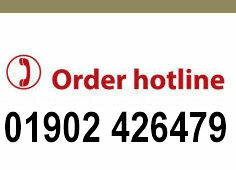 Apply to metal, wood, plastic, hardboard, glass or paperboard.